Ashley Edwards is an experienced Senior Counsel with a broad range of expertise in criminal and quasi–criminal cases. She is currently the Assistant Principal Crown Counsel prosecuting solely in the High Court. Her science/medical background makes her ideally placed to deal with highly technical evidence such as DNA, LCN DNA, Forensic medical, psychological and psychiatric evidence. 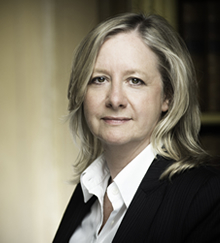 She is also experienced in the examination of children and vulnerable witnesses using special measures. HMA v Robertson and Parafinowski + 2 – Murder issues of concert, Mens Rea, medical issues re cause of death and medical intervention.